La Galea. 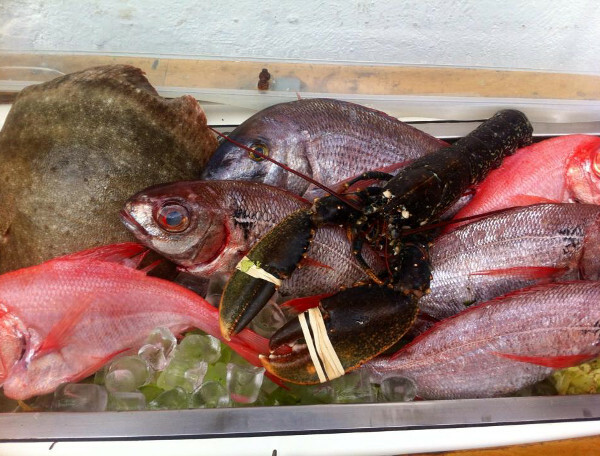 La Galea is a walk along the Getxo coast, where you can enjoy the best bird’s eye view of the El Abra Port. Very similar to the famous white chalk cliffs of Normandy in France and Dover in England, this recreation area for locals and visitors alike offers extensive natural spaces to enjoy contact with nature. It is precisely on this route along La Galea where we find two of the most interesting tourist spots in the area: The Aixerrota Windmill and La Galea Fort. Located at strategic places on the coast, they are relics dating back to the 18th century. 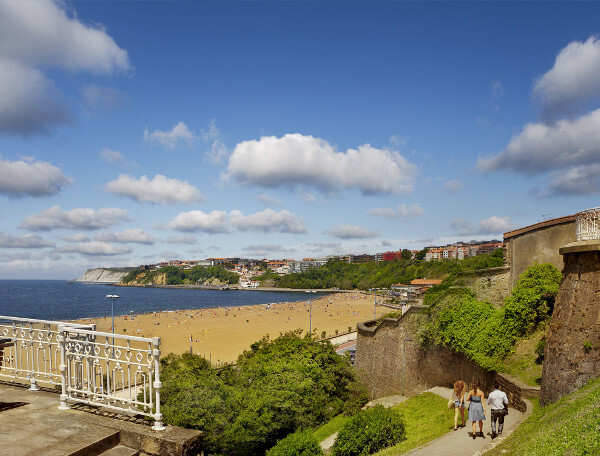 Beside them, the Andra Mari Church, the Lighthouse or Nuestra Señora del Carmen Cemetery round up a walk not to be missed along the Getxo cliffs. These are some of the points of interest you can go and see in the area. The Aixerrota Windmill: This windmill was built as a result of a serious draught that occurred in the 18th century. Of all those erected in Getxo, this is the only one that still remains standing. It took two years to put it into operation; from 1726 to 1727 and it worked while the causes leading to its construction lasted. It eventually ceased being used in 1787. Nuestra Señora del Carmen Cemetery: This Neoclassical style cemetery, designed by the architect Fidel Iturria in 1903, was the answer to the requirements of a new burial site for the population of Getxo. Andra Mari Church: This church was where the first urban hub appeared in Getxo in the 12th century. One of its first functions was to host the Town Council meetings in its portico around a stone table which remains to this day. Of this early construction, dating back to the middle of the 12th century, all that is left are some Romanesque-style remains. Some time later, in the 18th century, it would be rebuilt by Juan de Borda, totally Baroque in style and typical of Bizkaia. La Galea Fort: This is an 18th century fort, erected to defend trade traffic heading to Bilbao. It is the only example of a military construction from this century remaining in the whole of Bizkaia today. It was designed by Jaime Sycre and work began on its construction in 1742. La Galea Lighthouse: The first La Galea Lighthouse dates from the 18th century, from around 1782. In ancient times, huge bonfires were built to indicate the entrance to the port and it was a vantage point for spotting whales. The lighthouse present today was opened in 1950. Aizkorri Beach: This beach holds a “golden nail”, an award distinguishing sites that are particularly unique in terms of their stratigraphic properties. “The Wild” Beach: This beach lies under the cliffs and is hence a typical place for paragliders. Furthermore, this beach offers the right conditions for surfing. The Aixerrota Windmill - La Galea Fort: 1,240m. La Galea Fort - Aizkorri/Gorrondatxe Beach: 3,170m. Aizkorri/Gorrondatxe Beach - “The Wild”/Barinatxe Beach: 1,190m. “Bidezabal” Metro stop. Some 2 kilometres away on foot we come to the La Galea walk. . There are a number of bus services that will take us to our destination. BI-637 road, “La Avanzada”. Go along the N-637 and BI-637 towards the Errotatxu Ind. industrial estate Take the Getxo/Berangodesde BI-637exit. Go by the Errotatxu Ind. industrial estate. Take Ormaza Estrata, Gabriel Ramos Uranga Kalea, Peña de Santa Marina Kalea streets and Faro Errepidea towards Galea Errepidea. 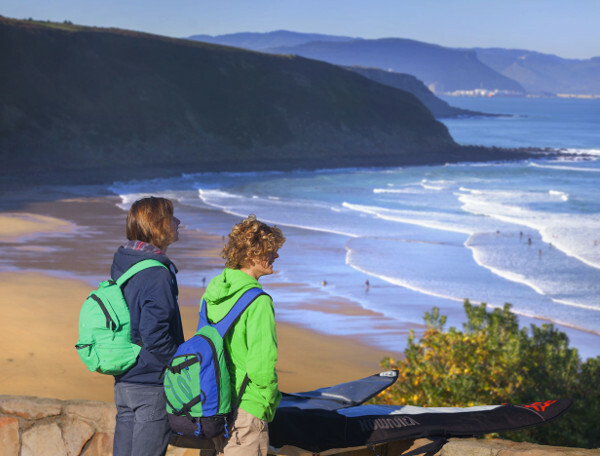 Paragliding From the Cliffs: Fly over the basque coast. Discovering Getxo’s Heritage by Taxi: Audioguided tourist route by taxi – getxo in depth.